The theme for Week 9 of the “52 Ancestors in 52 Weeks” challenge is “Close to Home” and my ancestor is my grandmother, Mae Zawodna Pater. But to me she was just called Nan! The reason I chose her for this theme is because we lived together in the same house for sixteen years. Other than my parents, I’d be hard pressed to find an ancestor closer to home than that. Mae was born on 02 August 1907 in Philadelphia, PA, the third child of Polish immigrants Joseph (Józef) Zawodny and Laura (Wacława) Ślesińska. Mae’s baptismal name was “Marianna” but she always used Mae (at least in adulthood). She also always celebrated her birthday on August 3rd, but both her baptismal record and social security application confirmed the date of the 2nd. 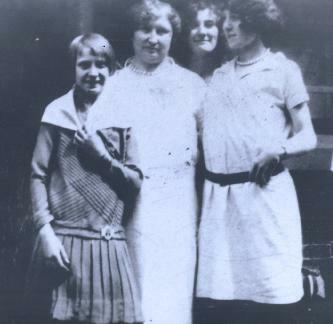 Nan as a teenager with her mother and two sisters. Left to right: Dorothy, mother Laura, Mae, and another sister (Helen or Jane). I love this photo because it is the one I have of my grandmother at the youngest age and her expression shows her humor. 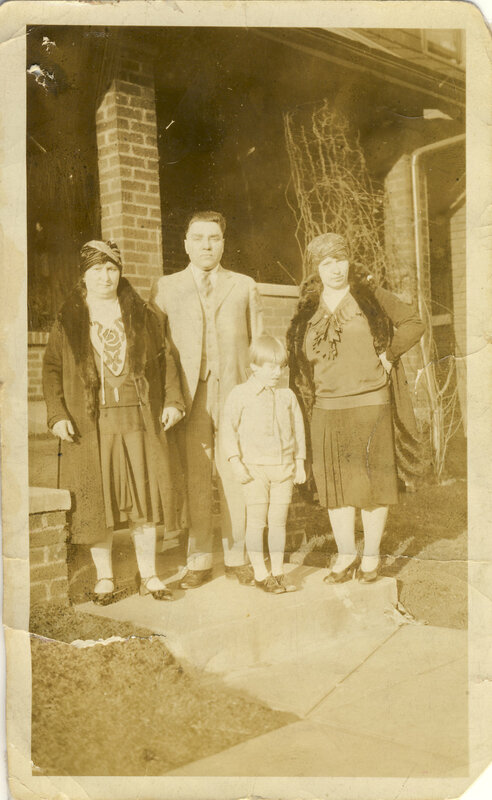 The Zawodny family (in Polish, the name ends in -na for females and, despite being born in the U.S., this practice was generally followed by the next generation) lived in the Port Richmond section of Philadelphia, which was, and still is today, a community of Polish immigrants. Her father was a boilermaker and her mother stayed home to care for their large family. There were eight children in all, but two boys died as infants. 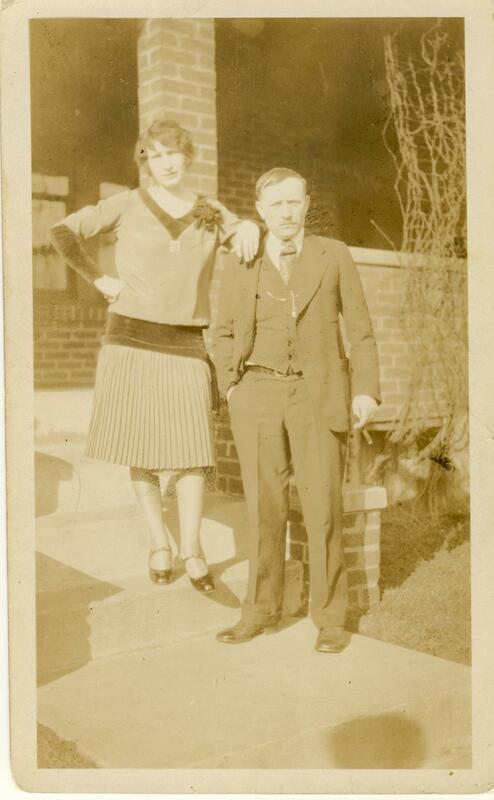 On 01 February 1930, 23-year-old Mae married 17-year-old Henry Pater – the two lived three doors apart on Indiana Avenue. However, they didn’t tell their families at first – perhaps because Henry, as a minor, didn’t get parental permission and lied about his age on the marriage license. For the 1930 census enumeration, they are listed as living with their respective families. Eventually, they told their parents. Mae’s father was not happy, mostly because they didn’t get married in the church. So in June the couple got married for a second time at St. Adalbert’s and moved in together. Mae had a personality that could be difficult at times as evidenced by the nickname her husband gave her – “Killer”. But she also had a fun sense of humor and a great laugh. The couple welcomed their first child, Joan, in 1932. Daughter Anita was born in 1935. On December 6, 1938, Mae’s mother Laura was diagnosed with schizophrenia and was admitted to Philadelphia State Hospital (later called Byberry). Mae and family moved in with her father, Joseph, in his house on Mercer Street. They all lived together until Joseph’s death in 1944. Laura would remain in Byberry until her death in 1956. In the early 1950’s, Mae and Henry separated and lived in different residences for the rest of their lives although they never divorced. Mae moved in with her daughter Anita (my mother) from the time my parents got married. It wasn’t always a peaceful cohabitation, but it lasted for many years. It was only the last three years of Mae’s life that she did not live with us and moved to live with my Aunt Joan instead. Mae standing close to home – the house in which I grew up and we both lived. This photo was taken before I was born, circa 1961-4. I’ve written short biographies of many of my ancestors not just for the “52 Ancestors” challenge but also for other posts here on this blog. But I was surprised by how difficult it was to write Nan’s story, the ancestor with whom I spent my entire childhood. My favorite memories are of her cooking – she was a wonderful cook! Fortunately my mother inherited that gene and I think it’s partially rubbed off on me, too. But some things can never be replicated like her chicken soup with homemade noodles. Or her dumplings that she called “bullets”. I also remember sitting in her bedroom for hours watching television – she was a heavy smoker at the time and I cringe now to think that I was surrounded by all of that smoke! Most of all I remember her humor and her big laugh. Plus, her personality made me laugh because she practically had an entire language of her own from Polish words like dupa, zupa, and dudek to other words like plut and gazeutch that mean something only to my family and some close friends. She had a difficult relationship with my parents, but she loved my brother and me and that is what I remember. Looking back on her story with adult eyes, I sense that she spent a lot of her life in fear – not of a person or of any one thing, just in general. She was afraid of everything from the weather to strangers to driving in a car to all of the unknowns in life. Looking back, she made herself “old” before she really was because it was easier to be taken care of by her daughter than to try to take care of herself. Her love for me even came with fear – she was afraid that I would get hurt. I was a very late walker because Nan would pick me up and carry me so I wouldn’t try to walk and get hurt while falling down trying. In the photo above she appears ready to leap to my rescue if I took a tumble. But despite that sense of fear she had, and which she attempted to compensate for by being abrasive, irreverent, and downright rude to everyone except my brother and me, the greatest story from her life involves overcoming fear. It is important that I tell it because this fact about her won’t be found recorded in any official document or vital record. It happened in early 1980 – I was 13 years old and Nan was 72. She developed an infection in her big toe that became gangrenous. The doctors told her that the infection was serious and wouldn’t heal, so they had to amputate her leg below the knee. I was too young to understand what she might have been going through with that diagnosis. But I do remember that after it happened, and after a long rehabilitation stay, she came home with a cane and a prosthetic leg. Even though I didn’t fully comprehend the complexity of what she’d experienced, I remember being impressed that she was able to get through it and walk again. It finally dawned on me as an adult when I experienced my own fear while awaiting a lesser operation – I realized that my diagnosis wasn’t anything like hers and if she could get through that operation as an old woman then surely I had the strength to get through mine. And I did. Mae died on 30 April 1986 – I was 19 years old, she was 78. Her death was the first significant loss in my life. But that’s to be expected, because it hit close to home. I’m glad I got to spend so many years living under the same roof eating her cooking, listening to her tall tales, laughing as she cursed the cat for walking between her legs (one good, one artificial) as she walked down the steps, and hearing her big, loud laugh. 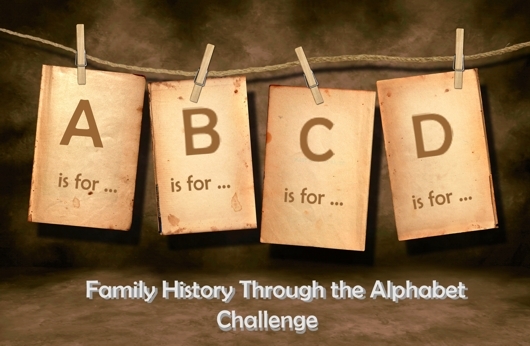 Continuing the Family History Through the Alphabet series…D is for Double Cousins! The term “double cousin” applies when cousins share ancestry through more than one line. For example, if siblings from one family marry siblings in another family, the couples’ children are first cousins through both their father’s side and their mother’s side; hence: double cousins! Double first cousins share both sets of grandparents whereas “regular” first cousins share one set. So far I’ve only found one instance of double cousins in my own family. My grandmother, Mae Zawodny Pater, had a brother and a sister that married siblings in the Tiernan family. Helen Zawodny (1905-1977) was the daughter of Joseph and Laura Zawodny. Helen married John Tiernan (1901-1960), the son of Thomas and Sarah Tiernan, in 1923. 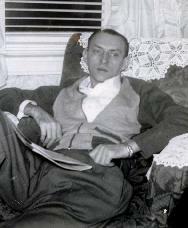 In 1930, Helen’s younger brother, Stanley (1909-1980), was living with Helen and John. In 1934, Stanley married John’s younger sister, Elizabeth (1911-1999). Therefore, the children of Helen & John and Stanley & Elizabeth are double cousins. Stanley and Elizabeth had three children (after the surname changed from Zawodny to Zowney) – all are still living today so I won’t name them for privacy reasons. Helen and John only had one child, Thomas, but unfortunately he died as a young child. Therefore the double cousin relationship in my family only existed briefly. How many double cousins are in your family tree? Married: Mae Zawodna on 01 February 1930 in Bromall, Delaware County, Pennsylvania. The civil marriage was blessed on 21 June 1930 at St. Adalbert’s RC Church, Philadelphia, PA.
All four of my grandparents were first generation Americans; however, my grandfather Henry Pater was the only grandparent to actually know his own grandparents, Joseph Pater (1864-1945) and Antonina Pluta Pater (1863-1938). He also is the only grandparent to have met one of his great-grandparents, his great-grandmother Francziska Anna Wojciechowska Pluta, who immigrated to the U.S. in 1909 and died in 1914 at the age of 74. Henry was five years younger than his wife – although I would not know this from the marriage license alone since they both lied about their age. At the time of their marriage, Henry was 17 and Mae was 22, but the record says he is 22 and she is 21! He is also the third generation Pater male to be younger than his wife: his father Louis was 2 years younger than his mother, and his grandfather was 1 year younger than his grandmother. Henry became a very young grandfather. His first grandson, my cousin Richard “Ricky” Zukowski, was born in 1951 when Henry was 39 years old. Sadly, Ricky died at the age of 15 months. Henry would have to wait another seven years to become a grandfather again. Records alone would have left me confused about Henry’s middle name if my mother didn’t know the truth. On his birth record, his name is Henry M. Pater. His baptismal record lists no middle name. His marriage record indicates the “M” is for Marion. His death record mistakenly lists it as Martin. However the marriage record, in his own hand, is the correct name. Henry worked as a knitter in hoisery mills, and was quite accomplished at it. He preferred working the night shift when he could operate several knitting machines at once. 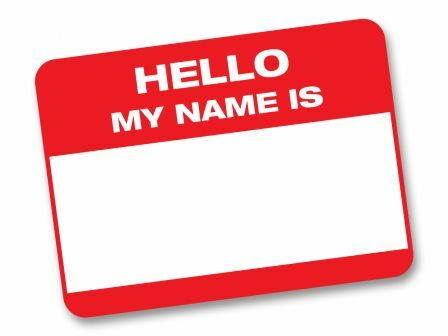 When Henry was introduced to his future son-in-law (my father) for the first time, he said, “Call me ‘Hank'” which caused my mother and grandmother to double over in laughter because he had never, ever used that nickname before. Henry called my mother “Chick” – apparently a nickname he got from a book. His other daughter Joan was called “Jub”. And his wife, my grandmother, was “Killer”. Henry liked to read. I wonder if that’s where I got the reading gene? I wish I knew what sorts of books he liked to read. Although Henry was born in the United States, he learned Polish from his parents, aunts & uncles, and grandparents. His wife Mae also learned Polish from her Polish-born parents. When the couple married and had children, they frequently communicated in Polish if they wanted to discuss something without their girls listening in on the conversation. I have a lot of entries for the Bergmeister’s. First, he’s my only great-grandparent to be enumerated on the 1900 Census having just arrived to the U.S. in time. While neither he nor his wife are still alive for the 1930 Census, their two adult sons and one daughter have their own households by then. Also, my great-grandfather had a brother who is enumerated in 1910, and his widow takes over as head of the household for 1920 and 1930. Of the nine households total, only 3 were correct: Joseph Bergmeister in 1900 and 1910, and his son Joseph Bergmeister in 1930. Fortunately, no matter how creatively the name was spelled, it managed to show up in the Soundex most of the time. I’m always amazed that a name like “Pater” could be misspelled so often. I mean, Pointkouski I can see, but Pater? There are only four instances of my Pater family in the census: Joseph Pater in 1910, 1920, and 1930 and his son Louis with his own household in 1930. At least they got it right half of the time! 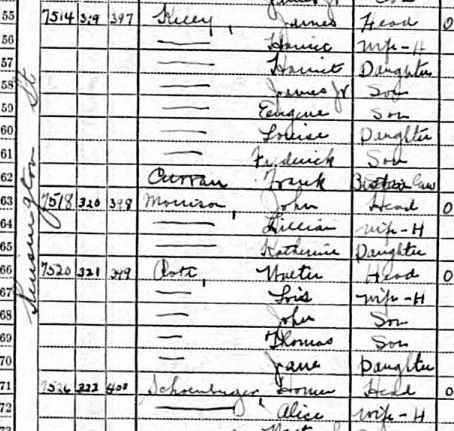 My great-grandfather Joseph Zawodny is in the 1910, 1920, and 1930 Census as well. However, you’ll only find him using a Soundex search in 1930 due to the rather creative spellings of his name. 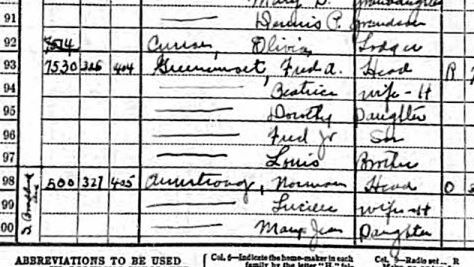 The Piontkowski’s were also in the U.S. for the 1910 through 1930 Census. I can’t tell you how long it took me to find them in 1910 – you’ll see why by the spelling shown below. By 1940, only 3 of my great-grandparents are deceased. Both sets of grandparents are married, and it will be my parents’ first appearance on a federal census record! And many of the siblings of my grandparents and their cousins will have households of their own. No index? No problem! I’m already gathering the information that will help me find them in the 1940 Census: addresses! By using sources such as social security applications, draft registration cards, death certificates, city directories, and the 1930 address I should be able to get a fairly accurate idea of the various residences in 1940. I also intend to use Steve Morse’s site to determine the enumeration district (ED) where I need to begin my search. See his page on finding the ED based on 1930 addresses, or take the quiz! I can’t wait to see how all of my family names are misspelled in 1940! And he lives at 5133. 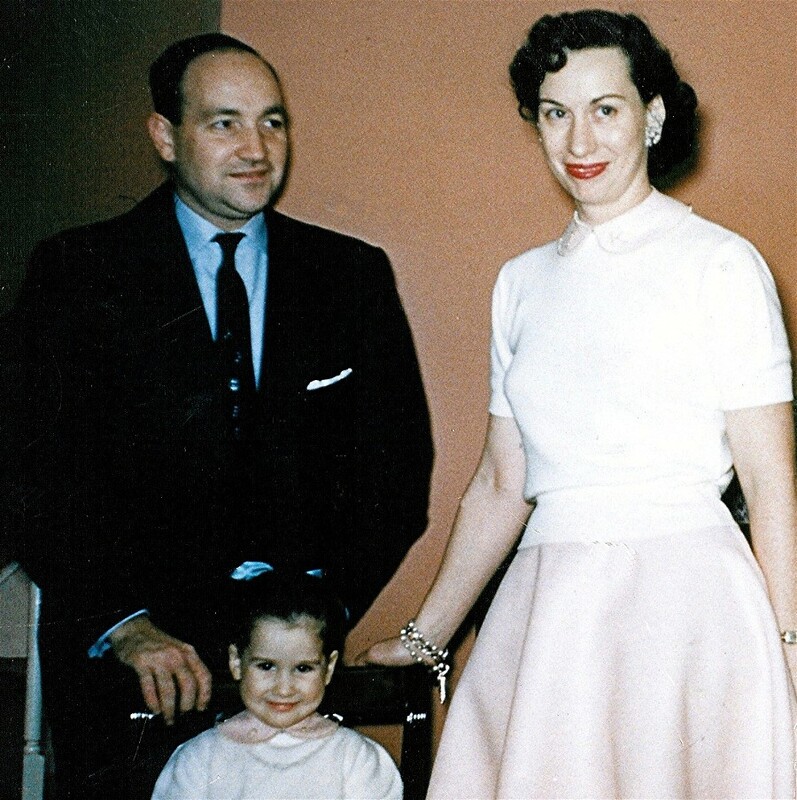 Fred and Dottie Kelly with their daughter Colleen. The song is one of several Martin-Blane hits from the movie. But did you know that it was based on a true story of a girl who fell in love with the boy next door? Fortunately in her case, the boy did glance her way and married her or else they would have never inspired Martin and Blane to write the song! The boy next door was Fred Kelly from Pittsburgh, PA. Fred had an older brother that you may have heard of by the name of Eugene – otherwise known to the world as Gene Kelly who sang and danced to through the most beloved movie musicals of the 1940s and 50s. Fred’s girl next door was Dorothy (Dottie) Greenwalt. Fred and Dottie really did grow up on Kensington Street in Pittsburgh, but their actual addresses didn’t fit the music as well as 5133 and 5135. Based on the 1930 census, 13-year-old Frederick Kelly lived at 7514 Kensington Street, and 8-year-old Dorothy Greenwalt lived at 7530. It wasn’t exactly “next door”, but it was close enough for the youngsters to meet and fall in love. Kelly household at 7514 Kensington St. in the 1930 Federal Census for Pittsburgh, PA.
Greenwalt household at 7530 Kensington St on the same page. 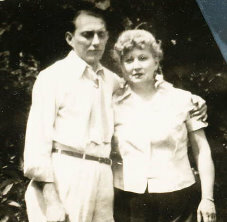 Fred and Dottie married during Broadway rehearsals for the Irving Berlin show “This is the Army” in which Fred was performing. Hugh Martin and Ralph Blane were also involved with the production, and they asked the newlyweds how they met. Dottie replied, “I just adored the boy next door.” Then the couple showed the writers their driver’s licenses to prove it! Martin and Blane wrote “The Boy Next Door” with Fred and Dottie in mind. The song went on to be a huge hit and was recorded by many other artists besides Judy Garland. In my own family, I also discovered an instance of a girl marrying the boy next door – my grandparents. In the 1930 census, we see 18-year-old Henry Pater living at 2506 Indiana Avenue in Philadelphia, and 22-year old May (Mae) Zawodny living at 2512. While it is true that the couple lived at those addresses, the “facts” as shown on the census are a bit confusing. First, both Henry and Mae were already married but are shown as living with their parents. That they were living in separate addresses despite their marriage is likely true, because at the time of the marriage on 01 Feb 1930, Henry was only 17 years old. The couple didn’t quite tell their parents right away, and it wasn’t until they were married in a church ceremony in June that they were able to live together. 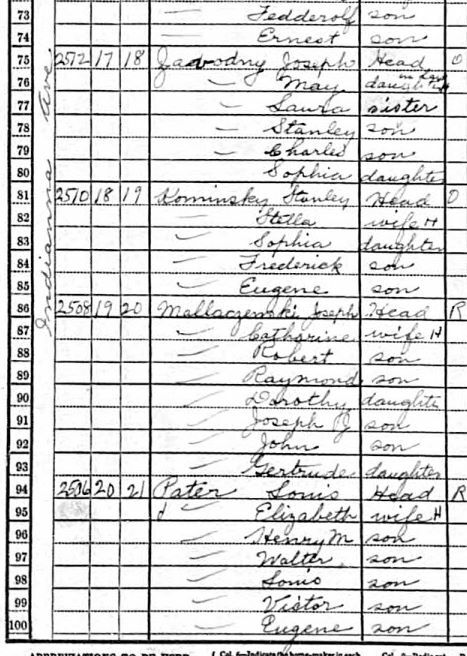 The Zawodny and Pater households in the 1930 Federal Census for Philadelphia, PA.
Mae and Henry Pater with daughter Anita (1937). In the Pater household, Henry is listed as single. But the enumeration record for the Zawodny household is not correct at all. The father, Joseph, is listed as a widow. However, his actual living wife, Laura, is listed as a sister. Mae is shown as married for two months, which is true, but she is listed as a “daughter-in-law” to Joseph, not as his daughter. Also, her presumed husband is listed as Charles, who was in fact her brother and still single at 19 years old. If only I could see film or video of the visit of the census-taker to their household…I am sure my grandmother was behind the mis-information! While Henry and Mae didn’t have a song written about them like Fred and Dottie, they are yet another tale of a girl falling in love with “the boy next door” – or on the same street, anyway. Have you looked closely at the census records in your family? Did anyone fall in love with the boy (or girl) next door? Kelly-Greenwalt Census Image: 1930 U.S. Federal Census, Pittsburgh, Allegheny, Pennsylvania; Roll 1977; Page: 27B; Enumeration District: 229. Pater-Zawodny Census Image: 1930 U.S. Federal Census, Philadelphia, Philadelphia, Pennsylvania; Roll 2110; Page: 1B; Enumeration District: 914. 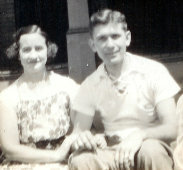 Photo of Fred, Dottie and Colleen Kelly used with permission from Colleen Kelly Beaman. Please see her web site, Dance Kelly Style, for more information on Fred Kelly and the Kelly family’s legacy of dance. For more even more information on Fred Kelly, see his biography on my Gene Kelly site. To see a photo of his childhood home on Kensington Street, see the biography on Marc Baron’s site. For more information on the Pater and Zawodny families, continue to read this blog or click on the surnames in the side bar! Genealogists frequently stress the importance of labeling photographs so that future generations know who’s who. This is true even for our own photographs that we take today. But while we may forget who are friends were twenty years later, would we forget a relative? I can now tell you that yes, it’s possible, especially if the photograph in question was taken before you were born. Why was this so surprising? Because I own a copy of this photo! In fact, I’ve posted this photo on this very blog. And in that post, the photo was not identified as my dad’s uncle and his wife, but as my mom’s aunt and her husband! I called my mother. “I thought you said that was your Aunt Helen! It’s Dad’s Aunt Helen and Uncle Joe!” Without seeing the photo over the phone, she wasn’t sure what to say. But she did say, “That’s funny, I don’t ever remember seeing a photo of my Aunt Helen.” Perhaps she identified “Aunt Helen” and I assumed it was her aunt instead of my dad’s. Whatever the case, I have had this couple misidentified for years! Sometimes identification of individuals in a photo is tricky. But my humorous story proves that sometimes you may be wrong even when a relative helps with the identification. The funniest part of this story is that the photo was previously posted in June, 2009 as the Tiernan-Zawodny wedding. Several of the Bergmeister-Pardus grandchildren have visited this blog, but they would not have found the photo of their grandparents since it was listed under the “Zawodny” label, so they didn’t notice the error. What’s even funnier is that I sent the photo to my mother’s cousin who should have recognized – or rather not recognized – the faces. Even though he is around my mother’s age and, like her, was born well after this photo, he is a blood relative to both the Tiernan’s and the Zawodny’s since one brother-sister combination married another (his parents). But even he didn’t set me straight. Sometimes it pays to trust your instinct…I often looked at this photo and had two thoughts. First, the woman – or rather the woman I thought she was – looked nothing like my grandmother and her sisters. Of course not, because she’s not related to them! And second, the man – who I thought I was not related to – looked rather familiar. Of course he does, because he looks very much like my great-grandfather (his father) and my father (his nephew)! I didn’t realize I had a “photo mystery” on my hands, but it’s nice to finally find out the truth about this couple! Now I have to, uh, amend my post about the alleged Tiernan-Zawodny wedding! Countries of Origin – The surname ZAWODNY is Polish. Spelling Variations – Other names derived from the same root include ZAWODNIAK, ZAWODNIK, or ZAWODZIŃSKI. (Source: Polish Surnames: Origins and Meanings, Second Edition by William F. Hoffman) in the U.S., the name can be mis-spelled as ZAVODNY because of the way it is pronounced in Polish. The feminine version of the surname is ZAWODNA. Surname Maps – The following map illustrates the frequency of the ZAWODNY surname in Poland. There are only about 500 people with the surname ZAWODNY spread out over 67 different counties and cities. My immigrant ancestor with this name came from the area just to the right of the upper red concentration. Distribution of the ZAWODNY surname in Poland. SOURCE: Mojkrewni.pl “Mapa nazwisk” database, http://www.moikrewni.pl/mapa/kompletny/zawodny.html, accessed January 8, 2010. Famous Individuals with the Surname – Janusz Zawodny (b. 1921) is an author and historian. He found in the Polish Army during World War 2 and is well known for his books Death in the Forest: The Story of the Katyn Forest Massacre and Nothing But Honor: The Story of the Warsaw Uprising, 1944. My Family – My Zawodny family comes from the town of Dobrosołowo, Poland. My earliest ancestor so far with this name is Szymon Zawodny, likely born around 1820 and deceased by his son’s marriage in 1875. He married Katarzyna Ratajewska. My line of descent is as follows: Wawrzyniec (b. 1853 – d. 13 Dec 1917, Dobrosołowo) > Józef (b. 29 Jan 1880, Komorowo – d. 09 Jun 1944, Philadelphia, PA, USA) > daughter Marianna (b. 02 Aug 1907 – d. 30 Apr 1986 Philadelphia, PA). Marianna, my grandmother “Mae”, had several sisters and two brothers to carry on the family name. One brother changed the surname though – see my biography of Joseph Zawodny for more information. From the brother who did not change his name, there are male descendants today. 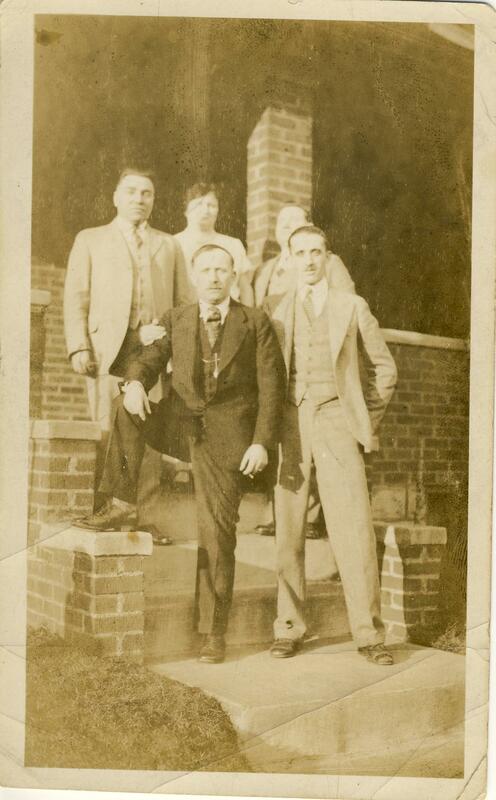 My great-grandfather Joseph also had a brother, Stefan or Steve, who was born in 1882 and immigrated in 1903. My Research Challenges -I need to continue my research. Although I have death records for Wawrzyniec Zawodny and his wife Katarzyna (Marianska) and their marriage record, I do not have birth records for either. I only have their parents names from the marriage certificate. Also, I need to find more information on my great-grandfather’s brother Stefan since he “disappears” after his arrival to the U.S.
Surname Message Boards – Ancestry has a very inactive message board. There are some other Zawodny families in the U.S. in Ohio, Wisconsin, Maryland, and Massachusetts. Links to other posts about my Zawodny family can be found here. This post is #5 of an ongoing series about surnames. To see all posts in the series, click here. 09 March 2010 – Correction! This couple was mis-identified. It is not the Tiernan-Zawodny wedding. It is the wedding of Joseph Bergmeister and Helen Pardus. For more info on why the identification was wrong, see Why Photographs Should Come with ID Tags. This month’s Smile for the Camera carnival theme is “Wedding Belles”! Last June for the “Belles and Beaus” theme I submitted a family wedding photo that featured the marriage of my grandmother’s sister – and included my grandmother as the maid of honor. For this year’s wedding theme, I have another great wedding photo that features their sister and her husband! Helen, the second oldest of the Zawodny children, was the first to get married in 1923. The wedding took place in Philadelphia, PA, most likely at St. Adalbert’s Church. Helen was 17 years old and her husband, John Tiernan, was 22. They would only have one child together, a son they named Thomas after John’s father. Sadly, young Tommy died as a child. 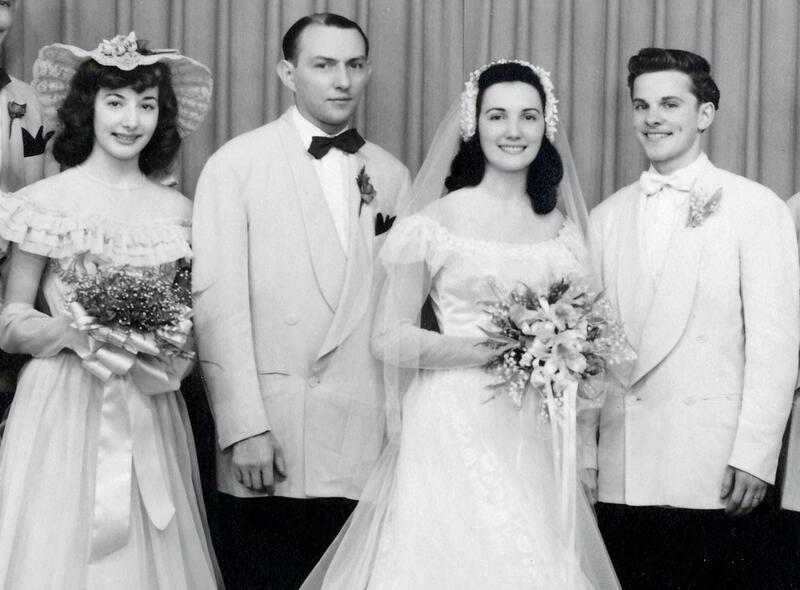 I would like to continue to post photographs of the weddings of all six children of Joseph and Laura Zawodny, but this and the previously posted photo are the only ones I have (I do not even have my own grandparents’ wedding photo). One that I am trying to get from cousins would make an interesting companion to the above photo. In 1934, another Tiernan-Zawodny wedding took place. This time it was Stanley Zawodny, Helen’s younger brother, and Elizabeth Tiernan, John’s younger sister. Stay tuned to see if I can get a copy! A mystery involving one of the family photos I have posted on this site has been solved! Oddly enough, it was not one of my Photo Mystery posts, but it can still be considered a mystery of sorts. Last June I posted the 1925 wedding photo shown to the left for the Smile for the Camera Carnival. 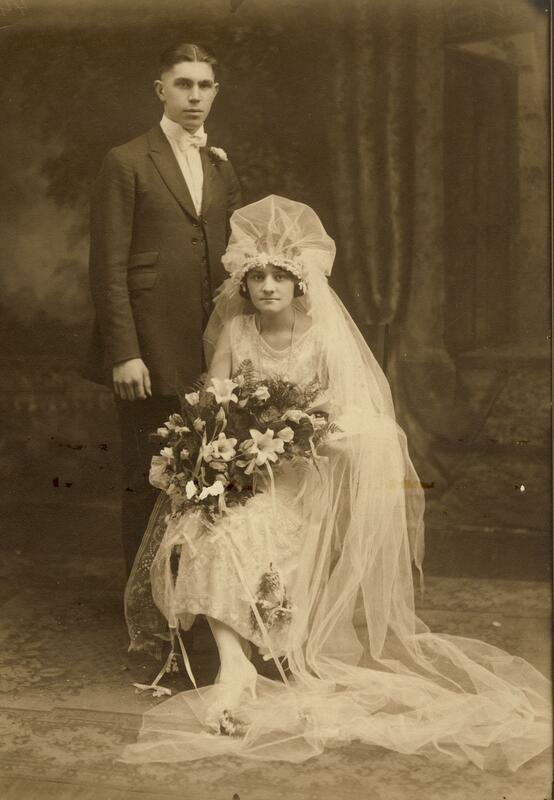 I could identify the bride and groom as my grandmother’s sister, Jane Zawodna, and her husband, Sigmund Galecki. The maid of honor is my grandmother, Mae Zawodna. But I didn’t have a clue who the the best man was. I could have discovered his identity if I had I checked the marriage record itself, but I had no real need for genealogical purposes so he remained a smiling mystery. Last month, another researcher found my site – the cousins of my Galecki cousins. Rich and Alice informed me that the best man was Rich’s Uncle Louie! Louis Galecki was the brother of the groom, Sigmund (Rich’s Uncle Ziggy). According to census and draft registration records, Louis was born in 1900 and Sigmund in 1903. It’s nice to know that the attractive couples in the photograph are a pair of sisters and a pair of brothers (little did I know I could have submitted it for the “Brothers and Sisters” theme instead of the “Belles and Beaus” theme)! I previously posted another photo of my grandmother from this wedding here. She also saved one other photo from the wedding that includes Louis as well. She is 18 years old and would not capture the eye of my grandfather, who was five years her junior, for a few more years (they would marry in 1930). But looking at her expression here I can just imagine why he later gave her the nickname Killer. 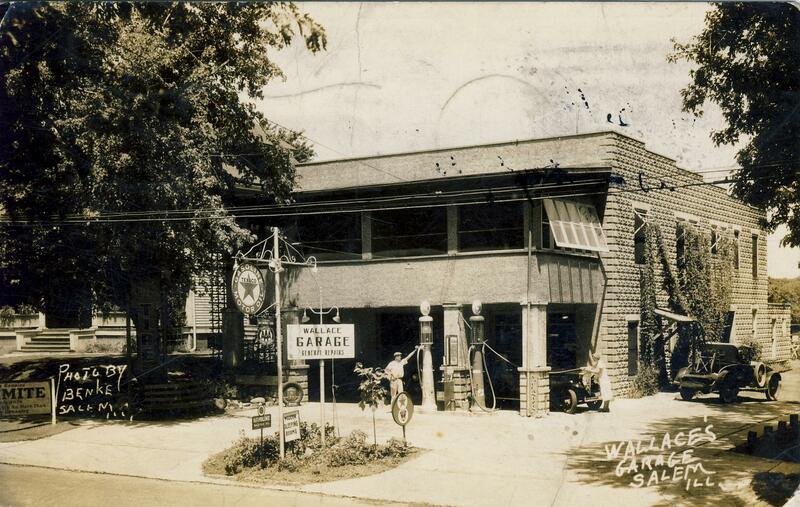 This is a nice “vintage” shot of a gas station (was it called “filling station” back then?) called the Wallace Garage in Salem, IL. If you click on the photo for a close-up view, you will see that the garage is a Texaco station that does general repairs. They’re an official AAA station, they use Havoline engine oil, and – best of all – a sign in front advertises “modern sleeping rooms.” It may look a little different than today’s gas stations, especially the cars to the right in the photo. But, some things never change – just notice the woman trying to get the hose to reach to the other side of her car while the attendant seems to just be standing there watching her fumble with it. The photographer is noted as “Benke” – apparently this was a Fred A. Benke. He was called “Salem’s well-known photographer” by this Salem historical site, but I wish he was just a bit more well-known so I could find out more about him! The recipients of the postcard are my great-grandparents, Joseph and Laura Zawodny (although it’s addressed to Joseph, the note does say “folks”). My logical assumption is that the sender is their son, Stanley, who would have been 23 years old at the time. My first thought was that perhaps this was a road-trip honeymoon; however, Stanley did not get married until 1934 (to Elizabeth Tiernan of Philadelphia, PA, the sister of his brother-in-law John). 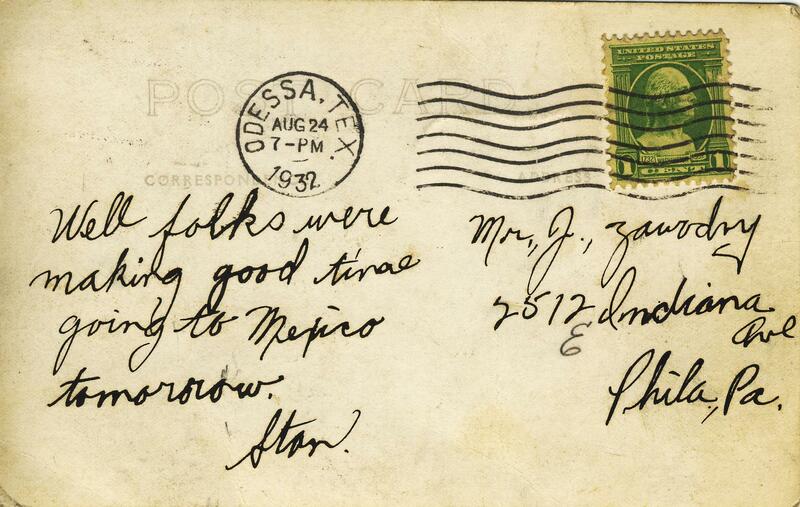 I have no idea why Stan was traveling to Mexico in 1923, but hopefully he had a good time! At least he was a thoughtful son to drop a line to his parents on the journey. Part 1 of this series presented the photographs that led me to investigate the lives of my great-grandmother and her four sisters. 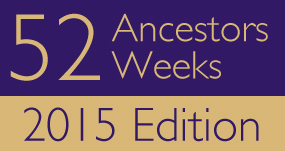 In Part 2, I detailed my genealogical research. Years after I had completed this research, I received a happy confirmation in a rather unusual way. My mother reconnected with her elderly aunt – the last surviving child of my great-grandmother, Laura Slesinska Zawodny. When I met this aunt for the first time in many years, I naturally asked, “Do you have any photos?” I hoped for more photos of her parents or of the siblings as young children. 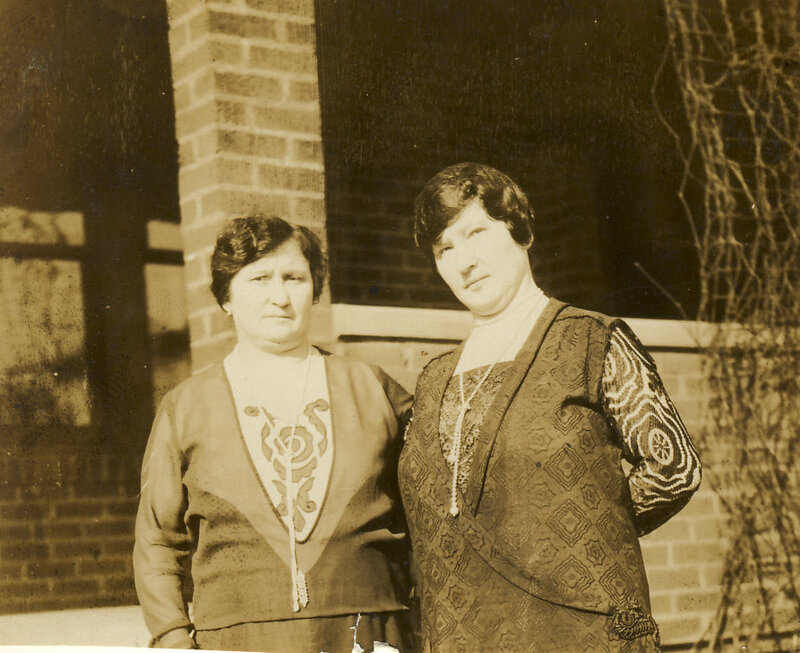 To my surprise, she gave me a pile of photos – and nearly all were of her aunts – the Slesinski sisters. Even more surprising? 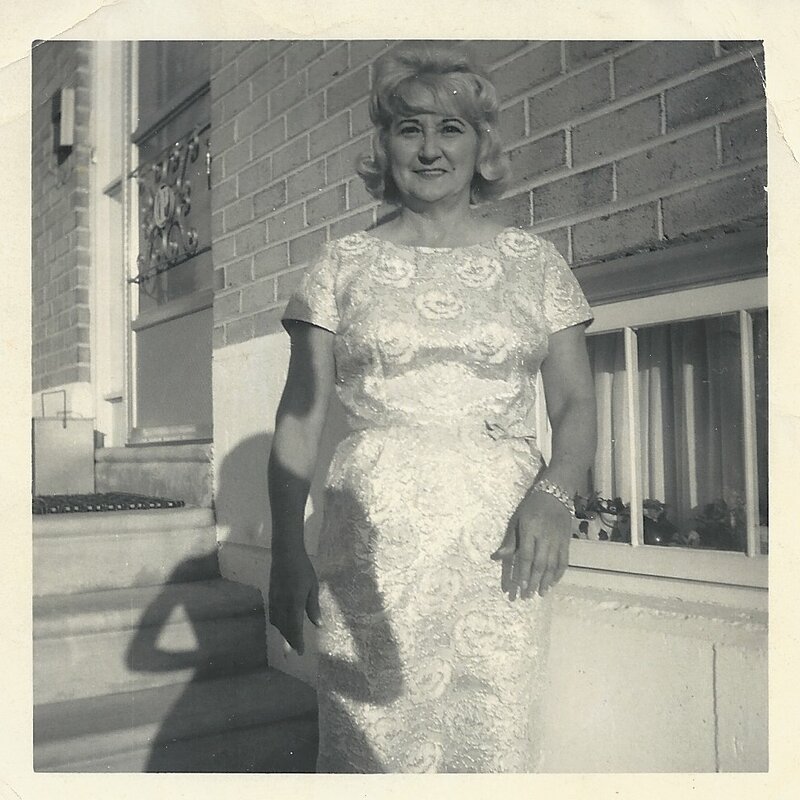 The photos that she gave me were new to me, but they were from the same “photo session” in front of the house in McKeesport that originally prompted my research! As a bonus, some of the photos were labeled in such a way that they actually confirmed my research. Now I had even more faces to put to my collection of family names. Next, sister Josephine makes another appearance, this time with her husband, Vincent Sierdzki, as well as my great-grandmother. The caption is the same as what is written on the back of the photo – in the same handwriting, and humor, as the rest of the series. In a photo captioned “Enjoying the fun”, three children appear. Henry Smilowicz is identified in the photo above. In my original photo featured in Part 1, Irene Goreski was also identified. Based on the 1930 census research, it would appear that the third child is their cousin, Boleslaw Majewski. 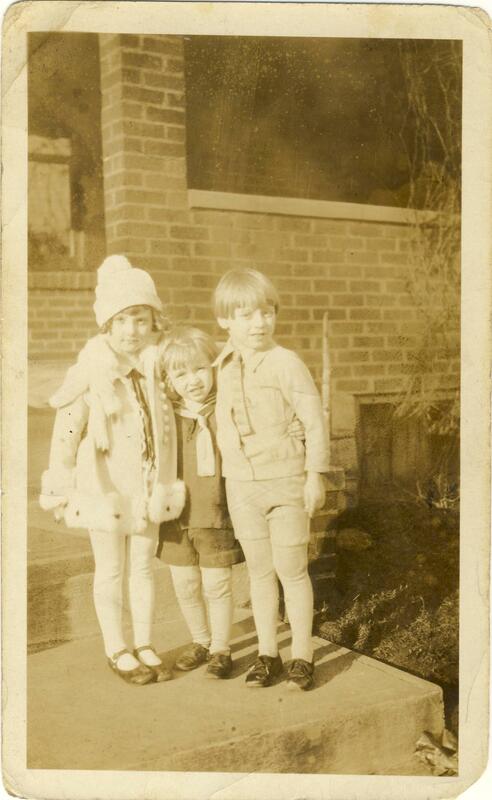 In 1930, he was six, Irene was five, and Henry was nearly four, so this photo is further confirmation dating the photo close to 1930. Next there is a photo of the husbands. Well, the four husbands that lived in McKeesport, anyway. I wasn’t sure based on the photos I originally had, but it appears that my great-grandfather was not present for his wife’s visit to her sisters. Or, if he was present, he opted not to appear in the photos! I was able to identify them based on the other photos, with the fourth man identified by default as Sophie’s husband, Joseph Goreski. The humorous caption is again from the back of the photo. 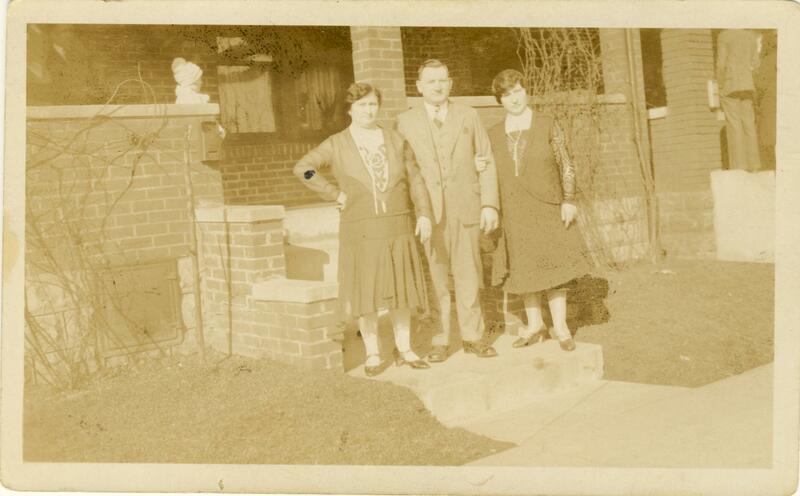 Finally, the last photo from the series shows my great-grandmother, Laura Zawodny, with her brothers-in-law. The above photo had the best caption of all on the back. Based on the humorous way it is worded, I’d bet that Sophie is the writer and her husband Joseph is the photographer of the other photos! I also obtained some other photos of both the sisters and their husbands that were unlabeled and not from this same photo-party. I feel confident that I can identify who’s who in the unlabeled photos based on the job that was done to identify everyone in these photos! Now they tell me…I did all that research to obtain the sisters’ married names when the answers were sitting in a box in my grand-aunt’s house! Some questions still remain, however, like how my great-grandmother traveled to McKeesport to visit her sisters, if she went alone, and how long she stayed. In any event, I am grateful to my great-aunts for not only taking these photographs during her visit, but also mailing them back to her in Philadelphia as a remembrance. Even though I wasn’t there, I can join in their fun! Genealogists know that finding the “married names” for women is can be difficult. Is it possible to research women without knowing who they married? In the case of my great-grandmother’s sisters, the answer was surprisingly “Yes!” This story is also interesting because it involves photographs – some that began the investigation, and some that proved the facts much later. In this three-part series of posts, I’ll introduce my great-grandmother and her sisters. This post, Part 1, shows what they looked like and offers the few bare facts I had to begin my research some twenty years ago. Part 2 will present the facts I uncovered through genealogical records (and some tips to remember for your own research). Part 3 will “prove” some of those facts in an unusual twist of fate involving more photographs. It all began with a photograph. Four photographs, to be precise. My family did not possess many photos of our ancestors, but my grandmother did have several that were precious to me. She gave me the four photos – three of which I will show here and one I’ll save for post #2. The first showed her mother, my great-grandmother, on a visit to her four sisters. My great-grandmother, Wacława Slesinska Zawodny (in Polish, the feminine form of her married last name would be Zawodna), lived in Philadelphia, PA. Her four sisters, the Slesinski sisters, all lived in McKeesport, PA, which is located in Allegheny county near Pittsburgh, PA. My grandmother said her mother once traveled across Pennsylvania to be reunited with her sisters. The back of the photo reads: "The Hollywood Review" - the Slesinski Sisters. Writing on the back of "The Hollywood Review" photo shown above. My mother knew that the woman in the middle of the back row is Wacława, who went by the name of Laura in the U.S. Fortunately, someone had also written everyone’s name on the back of the photo. Because it lists Laura as “Grandmother Laura”, the unknown identifier is likely my grandmother (or one of her sisters). The back of the photo, which is undated, had “The Hollywood Review” written in ink, presumably by one of the sisters, sent to my great-grandmother to commemorate her visit to McKeesport. The names are written in pencil in a different handwriting. The only incorrect label is “Great Aunt” applied to Josephine – perhaps it was meant to show respect to the fact that she and Laura are older than their sisters, but the truth is that evidence would later show all five women to be sisters. 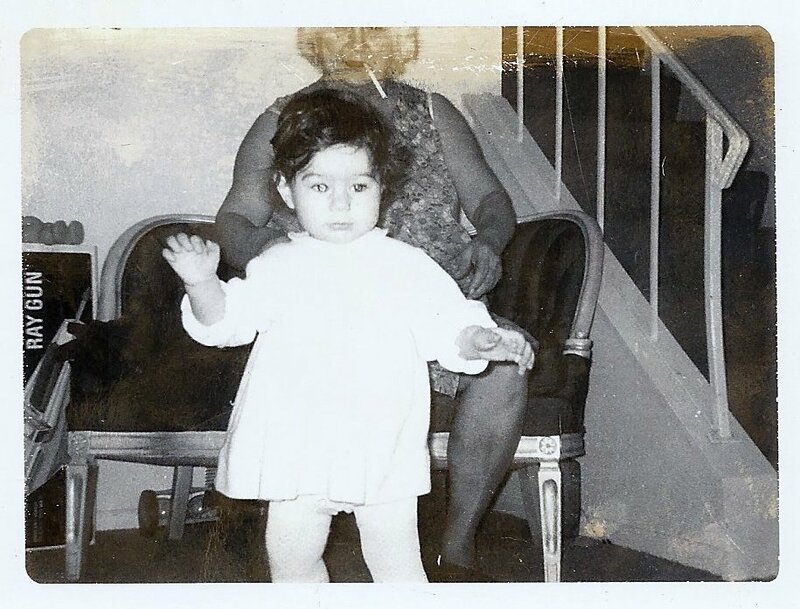 In addition to this photo, my grandmother had one of the sisters without the child Irene in what appeared to be the same photo session – that photo will illustrate my second post on the research into the sisters’ lives. The third photo offered a close-up of my great-grandmother and one sister. 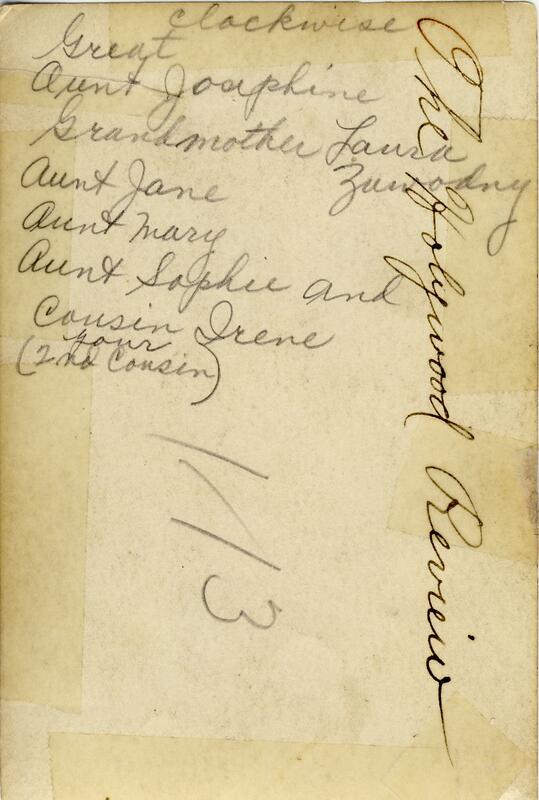 The back of the photo is labeled, in the same pencil-handwriting as the group photo above, “Grandmother Laura and Aunt Josephine”. I love two things about it – the close-up view of their faces, and the fact that it identifies who they are! The photo was originally full length, but it was cut in half. While the background appears to be the same house as the above photos, their dress is different. Was it taken on a different visit, or just on a different day of the same visit? Although they both look rather austere, I was amazed by the resemblance between my great-grandmother and my grandmother (her daughter). Finally, the fourth photograph shows Laura and one of her sisters. 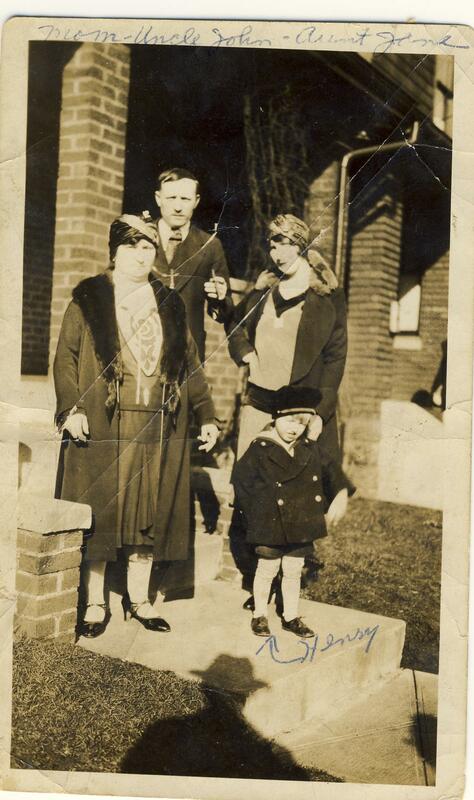 Based on the label to the above photo, it seems to be Mary with what appears to be her family. Luckily, it was also labeled with a clue as to their identities. Their dress is the same as the above photo. The handwriting is the same as the above photos – can I assume that “Mr. 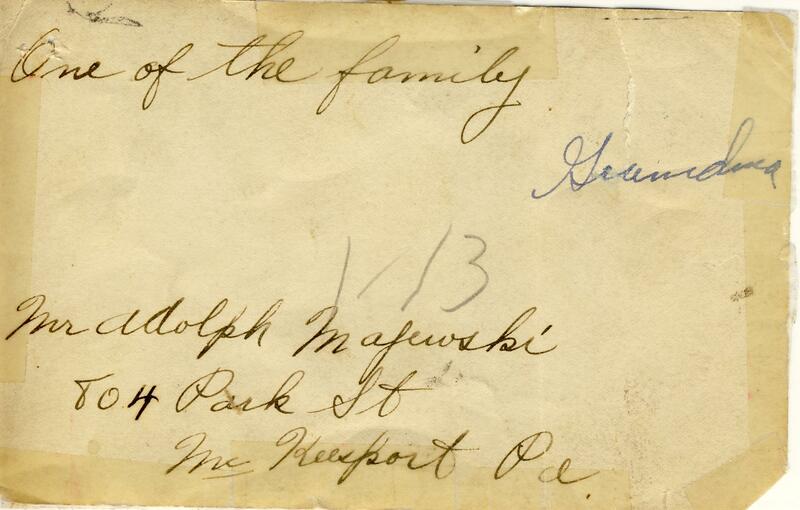 Adolph Majewski” is Mary Slesinski’s husband and the boy is their son? Is the address the house where all of these photos were taken? When were the photos taken? Just knowing these bare facts, could I find out more about my great-grandmother’s sisters? In 1880, Poland was a divided land. Officially, the country of Poland no longer existed. The former Polish Kingdom was partitioned in three stages among Prussia/Germany, Austria, and Russian from 1772-1795. Poland, with its long national history and cultural heritage, became only an idea. The area that was southern Poland now belonged to Austria, while northern and western provinces were governed by the newly formed Germany. Central and eastern Poland was ruled by the Russian Empire. This map shows the distance between Joseph and his wife's birthplaces and the German-Russian border in 1880. Along the border between Germany and Russia, just fifteen miles into the new outline of Russia, lay a small village called Komorowo. The village was so small that it did not have its own church. Instead, residents traveled almost two miles away to the larger town of Dobrosołowo for their religious services. Dobrosołowo itself was hardly a large town; in 1827 it was reported as having only 19 houses and 194 residents. But the town had a parish church, Św. Jakóba (St. James), which served as the only parish for surrounding villages. In this small Polish town or Komorowo on the new border of the Russian Empire, Józef Zawodny was born on January 26, 1880. His father, Wawrzyniec Zawodny, was a 27-year-old farm worker. Józef’s mother was Katarzyna Mariańska, also 27 years old and born in Komorowo. The couple had been married for almost five years before Józef’s birth. Józef was baptized at St. James in Dobrosołowo. Little is known about Józef’s early life. He had at least two sisters and one brother. Parish registers record the birth of a sister, Aniela, on September 18, 1876, but no additional information is known. Research of the parish records is ongoing, but from U.S. record sources it was determined that Józef’s also had a brother, Stefan, and a sister Mary. By 1902, Józef had met a woman named Wacława Slesinska; he wanted to make her his wife. Wacława was born on August 29, 1880 to 29-year-old Wincenty Slesinski (also spelled Ślesiński), a blacksmith, and 20-year-old Stanisława Drogowska. She was their first child; the couple had only been married for almost one year. Wacława was born in a larger town, Wilczyn, which was about thirteen miles from Dobrosołowo and less than a mile from the German border. Wilczyn was large enough to be considered an “urban” area with nearly 500 residents. Wacława was the oldest of eight children, and by the time the youngest was born in August, 1901, the Slesinski family was living in Komorowo and attending church at Dobrosołowo, the same towns as Józef. Józef and Wacława on or near their wedding day, 1902. Józef and Wacława wed on January 29, 1902, one day before Józef’s 22nd birthday. Years later their children would report that Wacława’s parents were very upset by this marriage. Whether they disapproved of Józef or the couple’s plan to immigrate to the United States is not known. But Józef told his children that Wacława’s parents never spoke to her again and letters home were returned unopened. Neither Józef nor Wacława would ever see their parents again. 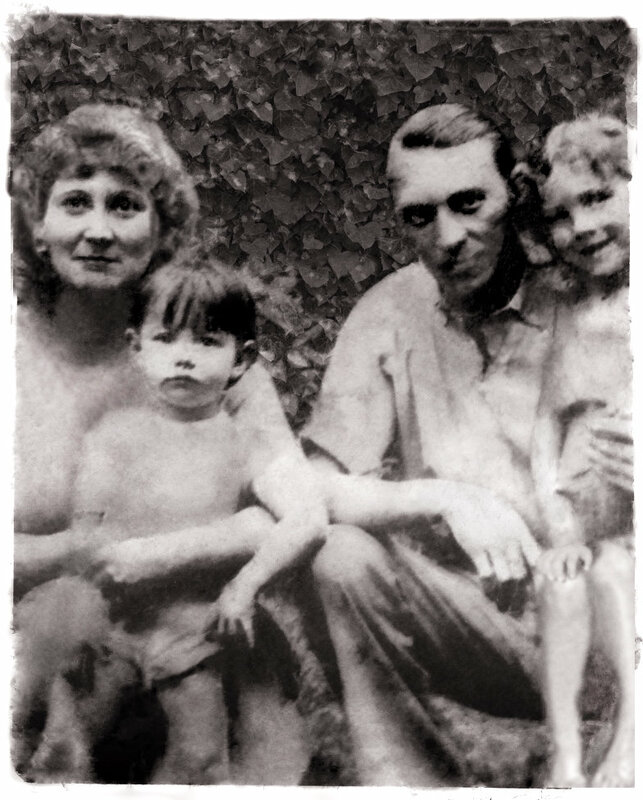 Józef’s father died in 1917; his mother in 1923. Wacława’s parents died two days apart – her mother on December 30, 1918 and her father on January 1, 1919. On March 23, 1902, only two months after the wedding, Józef boarded the S.S. Graf Waldersee in Hamburg, Germany. He arrived in New York on April 6, 1902, with only the equivalent of $2 in his pockets. His sister Mary’s husband, Piotr Szymanski, met him in New York at Ellis Island. Piotr (Peter) and Mary Szymanski lived at 2830 Ann Street in a neighborhood of Philadelphia known as Port Richmond. While Józef and Wacława would live in many houses over the years, the neighborhood of Port Richmond was always their home. Photo from"Our Faith-Filled Heritage" prepared by the Archdiocese of Phila. The Port Richmond section of Philadelphia is an area along the Delaware River that was not only an industrial area, but also had streets with rows of houses for those employed in the various factories. It was, and remains, a “blue collar” neighborhood. At the time, it was a mix of ethnicities including Irish, German, and Polish. The mix is most evident by a lasting landmark on the neighborhood’s primary east-west thoroughfare, Allegheny Avenue – three large Catholic churches were built within a quarter mile. Nativity of the B.V.M. was the first church established in 1882; though built for the German community, it became known as the Irish church. The Germans built their church next, Our Lady Help of Christians, which was finished in 1905. The Polish community’s church, St. Adalbert’s, was founded in 1904 although the building itself was not completed until 1909. Józef was living with the Szymanski’s in July 1903 when Wacława arrived in the United States. She traveled on the S.S. Westernland from Antwerp, Belgium, which went directly to the Port of Philadelphia. When Wacława arrived, the couple had been married for eighteen months but had only been together for two. They settled down to raise a family together – a family of American children christened with Polish names living in a Polish section of an American city. In their Polish community, Józef and Wacława’s names remained the same. To Americans, Józef used the English spelling of his name, Joseph. The name Wacława does not have a direct translation into English, so she became known as Laura. Joseph and Laura began their family almost immediately. Nearly one year after she joined her husband in Philadelphia, their first child was born, a girl, on July 9, 1904. Her name was Janina; later she would be known as “Jennie”, “Jen”, or “Jane”. The family grew quickly. Following Jen’s birth were Helena (Helen) on October 30, 1905, Marianna (known as Mary or Mae) on August 3, 1907, and Stanisław (Stanley) on May 8, 1909. By 1910, the growing Zawodny family lived at 2826 Livingston Street. Another son was born on February 1, 1911, Kazimierz (known as Charley), followed by Bolesław (William) on August 4, 1912. Tragedy would befall the family for the next few years. On March 8, 1913, Bolesław died from acute gastroenteritis – the stomach flu. He was only seven months old. The burial took place at the nearby St. Peter’s Cemetery. Another son was born on January 18, 1914, Władisław (Walter). He would also have a short life, dying on March 27, 1915 at the age of 14 months. The cause of death was enteritis and a gum infection from teething complications. He was buried with his brother in St. Peter’s. Sometime between the two deaths, the family moved to 2618 E. Birch Street. It was there that their last child was born on January 13, 1916, a daughter named Zofia (known as Dorothy). Joseph supported his large family by working as a boilermaker. He also worked as a file maker for G.H. Barnett Company on Frankford Avenue at Richmond Street. 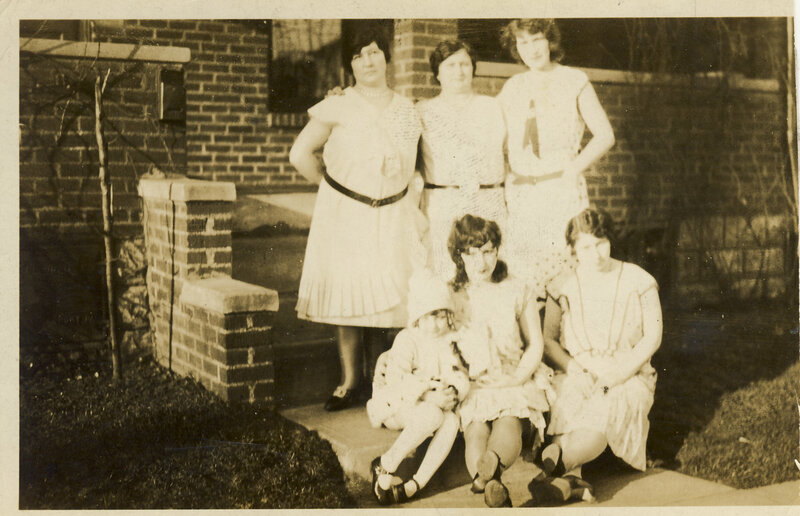 After Laura’s parents died in 1919, her younger sisters all immigrated to the U.S. Józefa (Josephine), Marianna (Mary), Janina (Jane), and Zofia (Sophie) all moved to McKeesport, Pennsylvania, and Laura visited them on occasion. By 1922, the Zawodny family was living at 2650 E. Birch Street, just down the street from their previous home. 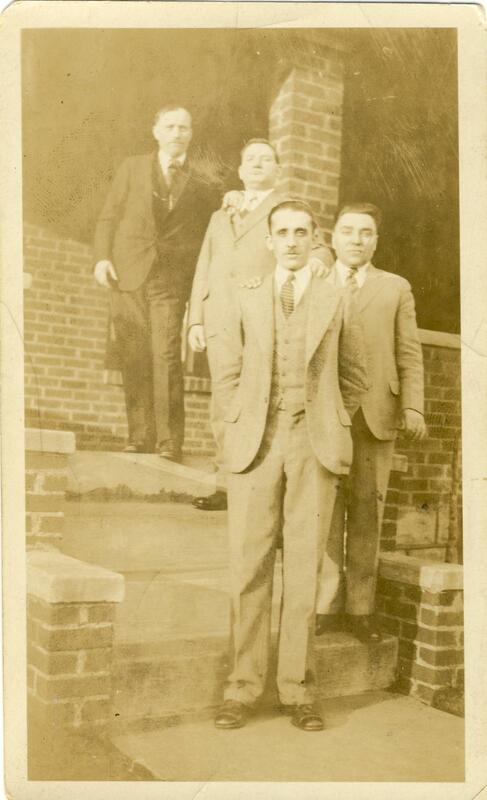 On February 20, 1922, Joseph declared his intention to become a U.S. citizen. He entered his Petition for Naturalization on April 26, 1926 and it was finalized on January 7, 1927. Joseph and his wife were now naturalized citizens of the United States. By 1930, the family had moved to 2512 E. Indiana Street. As with their previous residences, it was within the same Port Richmond neighborhood of Polish immigrants in Philadelphia. Although Laura did not attend church services, Joseph was very active in St. Adalbert’s. His children were baptized at the church, and with most of the children he followed the Polish tradition of naming the child after the “saint’s day” in the Catholic calendar. In 1929, Joseph was even the president of one of the charitable societies at St. Adalbert’s. During the 1920’s and 1930’s, Joseph and Laura’s adult children got married and began families of their own. The first to be married was the second oldest child, Helen. In 1923 at the age of 17, she married John Tiernan, a 22-year-old plumber. 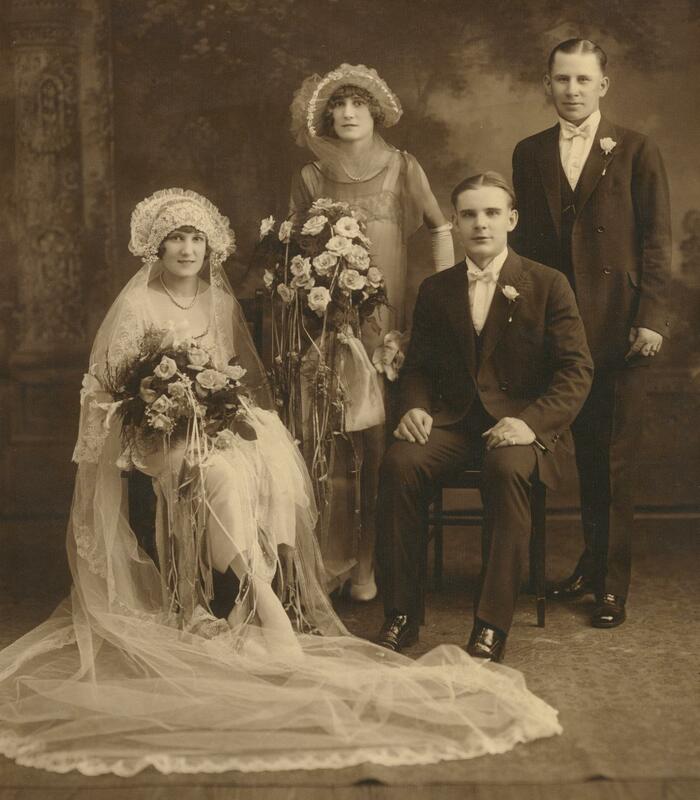 The next wedding took place in 1925 as the eldest, Jane, married Sigmund E. Galecki at St. Adalbert’s Church. Younger sister Mae served as her maid of honor. Next to be married was Mae, who married Henry M. Pater on February 1, 1930. Henry and his family lived on the same street as the Zawodny’s — the Pater’s were at 2506 E. Indiana Ave. while the Zawodny’s were at 2512. Henry was only 17, five years younger than Mae, so the couple married in Media, PA where he would not need his parents’ permission. They later had the marriage blessed at Joseph’s Zawodny’s insistence. The blessing took place at St. Adalbert’s in June of the same year. In 1934, Stanley married Elizabeth Tiernan, the sister of his brother-in-law, John. Next, Charley married Frances Adamczek, who was the daughter of his father’s best friend. Finally, Dorothy married Bennet Rozet. By 1938, Joseph and Laura lived at 3553 Mercer Street. But Laura was not well. On December 6th of that year, she was admitted to Philadelphia State Hospital, known as Byberry. Her diagnosis was “dementia praecox”, or schizophrenia. Joseph made the long journey to Northeast Philadelphia to visit her on a regular basis, but she would never again return home to live with him. After Laura was hospitalized, their daughter Mae moved in with her husband Henry and their two young daughters – 6-year-old Joan and 3-year-old Anita. They would live with him until his death. Joseph occasionally argued with his daughter over running the household, but he enjoyed having his granddaughters with him. He especially enjoyed dressing up in their “Sunday best” to visit friends and relatives. Unfortunately for the girls, this meant walking long distances in uncomfortable shoes. But their aunts provided welcome moleskin when they reached their destinations. On D-Day, June 6, 1944, Joseph fell ill with pneumonia and pleurisy. He died three days later on June 9 and was buried in New Cathedral Cemetery. He shares his resting place with his wife Laura, who lived until May 20, 1956, as well as his daughter Helen, her husband, their young son, and in-laws. Four of the six Zawodny children lived into their 70s. One, Charley, died at 58. Dorothy is still living and is now 92 years old. Joseph and Laura Zawodny had seventeen grandchildren and numerous great-grandchildren. Did everyone have a “Family History Project” in school? I received my assignment in 8th grade, December, 1980. Even though I was inspired by Alex Haley’s Roots three years earlier, I still knew very little of my family’s history except for my great-grandparents’ names. Our assignment was to write an essay about one of our ancestors. My grandmother lived with us, so I turned to her for help. “Tell me about your parents!” My Nan told me some stories, and I wrote it all down. I received an “85” for the assignment, and I recently found that document. As I read through it, I couldn’t help but laugh. Not at my grade school grammar or writing style, but at all of the errors! I began my genealogical research years later after college, and I proved “false” many of the so-called facts I thought I knew. But, those errors created the basic information that I had when I began my research; it was all I knew. I’ve since proved names and dates with the correct source information instead of relying on “word of mouth.” As for my essay, well it certainly is an interesting story. But is it true? While there was some element of truth in the tale, overall it’s mostly false. My grandmother did have a tendency to tell tall tales. She may have told me a good story so that I’d have something interesting to write about for the assignment, because I didn’t know any stories about any other ancestors. Or, she may have told me what she believed to be true based on her fuzzy childhood memories or the tall tales her own parents told her. Let’s see how the story stands up against the truth as learned through real genealogical research. I’ll look past the poor writing – I was 13 years old and I still had a lot to learn. My 1980 essay is in bold, followed by my comments today. 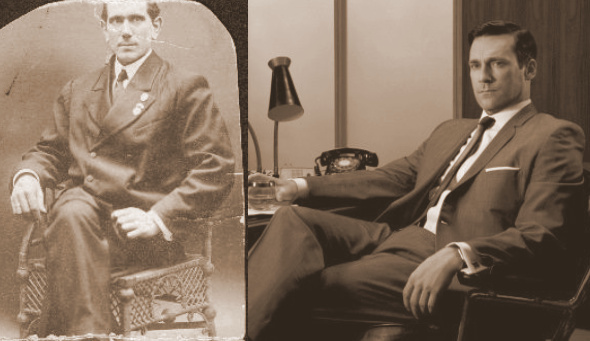 My great-grandfather was Joseph Zawodny. Legend has it, as told by my grandmother and my then-nine-year-old mother, that after Zawodny’s death a stranger came to the door. The stranger told my grandmother that he was Joseph Zawodny and that her father had used his name to “get into the country.” His real name, according to that version of Joseph Zawodny, was Joseph Mueller. Interesting…what a great story! I was so sure that I’d find some evidence of it somewhere, somehow. Instead, I found Joseph Zawodny’s birth and marriage record in Poland, with information that matches what he provided in the U.S. on documents such as his naturalization papers. In order for this interesting tale to be true, the imposter would have had to assume the name Zawodny prior to his marriage. Since the town in Poland was not very large, it is unlikely that a priest would have performed the wedding ceremony and recorded it with a false name, because he would have known both the bride and groom. Evidence has revealed only the name Joseph Zawodny. Regarding “Andrew” as his middle name, it was not recorded in either his birth or marriage record, but on his SS-5 application for Social Security, he wrote his own name as “Joseph Andy Zawodny”. He did come to America “about 1900” – the precise date was April 6, 1902. He arrived at the port of New York on the SS Graf Waldersee. Of course, one could argue that this record only shows that a Joseph Zawodny arrived and intended to go to Philadelphia – what if he was using an assumed name? Immigrants had to have the proper papers from their native land in order to obtain a ship ticket in the first place, so it is still difficult to imagine identity theft back then. According to Joseph’s birth record, his father was Wawrzyniec Zawodny, who was born in 1853. He was a farm worker who married Katarzyna Marianska on 10 May 1875 in Dobrosołowo. She was born around 1853 in Komorowo and died on 29 July 1923 in Dobrosołowo. Wawrzyniec died on 13 Dec 1917 in Dobrosołowo. Based on these records, there is no evidence of a stepfather. Joseph (Józef in Polish) Zawodny was born on 26 Jan 1880 in Komorowo, Poland near the town of Dobrosołowo. I did hear the “same birthday” story growing up from my grandmother and mother. I am not sure why my grandmother thought her father’s birthday was on March 8. Several other documents throughout Joseph’s life, including some written in his own hand, confirm the birthdate, including baptismal record, WWI draft registration card, Social Security application, WWII draft registration card, a life Insurance policy, and his death certificate. As for being born in Berlin, my grandmother thought he was German and named a German city. Why? He did speak German, but the area of Poland from which he came bordered Germany and many people spoke both languages. He spoke Polish at home, lived in a Polish neighborhood, and attended a Polish church. Joseph was 20 years old when he left Poland for the United States. The area in which he was born was in the Russian Empire a few miles from the German border. The country was not at war when Joseph would have been the right age to serve in the military – would the army be guarding a prison? I have found no evidence of his service in any army. The stowaway myth was proven false by finding his passenger arrival record (noted above) as well as his departure record in Hamburg. He definitely paid for passage on the ship! I was amazed to discover in the Polish-English dictionary the word puszczać, which is pronounced poosh-chach. It means to let go, let fall, or drop. So, perhaps there is some truth to this story! Joseph arrived in New York on 06 April 1902. Joseph’s passenger list indicates he is going to his brother-in-law P. Szymanski on Ann Street in Philadelphia, and his brother-in-law met him at Ellis Island. It is unlikely that he stayed in New York at all. His wife, Wacława, traveled directly to Philadelphia on the SS Westernland on 26 July 1903; her husband’s address is the same as his sister’s from the year before. Joseph probably did work for the Nicholson File Company, or at least their subsidiary in Philadelphia, the G. H. Barnett Company. Nicholson was a major manufacturing firm in the early 1900s. 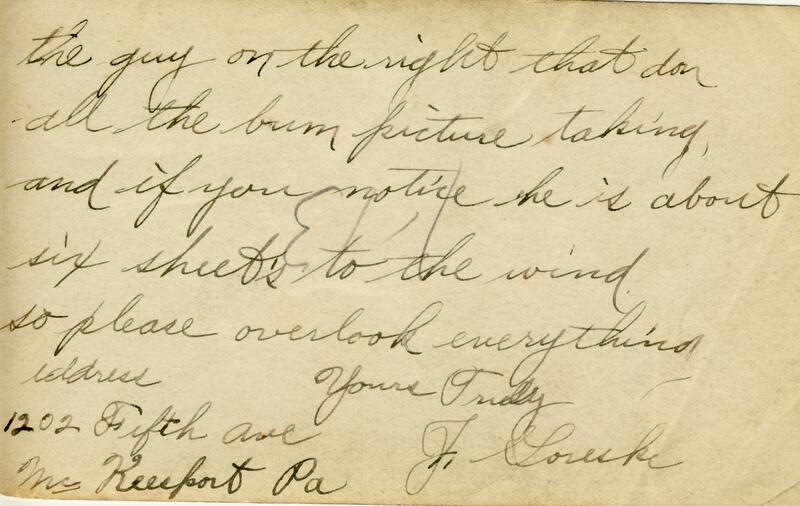 On Joseph’s draft registration for World War I, he indicates he is a file maker for Barnett Co located at Richmond and Frankford Avenues in Philadelphia. A true fact! Józef Zawodny married Wacława Slesinska on 28 January 1902 in Dobrosołowo, Poland. Wacława adopted the name “Laura” in the U.S. Slesinska is the feminine form of the surname Slesinski, which can be found in some older church records spelled as Śleszyński. When they married, Joseph was one day shy of his 22nd birthday and Wacława was 21. The ages are typical for Polish marriages around that time – even a little on the “old” side. Daughter of a blacksmith, she was born in Wilczyn, Poland on August 29, 1880. Her parents are Wincenty (Vincent) Slesinski and Stanislawa Drogowska. Wilczyn is a large town close to Dobrosołowo. It is extremely doubtful that she was a nurse. True. According to the 1910 Census, the family lived at 2826 Livingston Street in Philadelphia. The official names for the children were in the Polish and were Janina (b. 09 Jul 1904), Helena (b. 30 Oct 1905), Marianna (b. 03 Aug 1907), Stanisław (b. 08 May 1909), Kazimierz (b. 01 Feb 1911), Bolesław (b. 04 Aug 1912), Władysław (b. 18 Jan 1914), and Zofia (b. 13 Jan 1916). The names used in English (not all are direct translations) were Jen/Jane, Helen, Mae, Stanley, Charley, William, Walter, Dorothy. Bolesław died at 7 months old; Władysław died at 14 months. There is no way to confirm that he was fired. It is unlikely that Joseph worked in Cornwells Heights, located just outside the Philadelphia city limits and close to where I grew up, and even more unlikely that he worked in Atlantic City. He did not own a car to travel far distances to work. The job that Joseph had with the file company was in the same neighborhood in which he lived, a section of Philadelphia known as “Port Richmond”. Many Polish immigrants settled there, and more than likely he walked to work. I can not substantiate the land claim. Again, even though Merchantville is only directly across the river from the Richmond section of Philadelphia, would he have had the money to do this? It is probable that he did lose money in Richmond Bank, but probably not much. Philadelphia did have a large volunteer contingent for the Coast Guard during World War II. However, in January of 1942 Joseph turned 63. I haven’t researched this because I don’t think he would have volunteered at his age. While I do not know all of the circumstances that led to this, Laura was admitted to Philadelphia State Hospital for schizophrenia on December 6, 1938. My grandparents, Henry (Henryk in Polish) and Mae and their daughters did live with Joseph, although I am not certain of when they moved in with him. They lived at 3553 Mercer Street in the Richmond section of Philadelphia. My mother, who would have been three years old if they moved in after Laura was hospitalized, fondly remembers her grandfather and how proud she was to live with him. Her scattered memories: he always wore a suit jacket at the dinner table; he listed to a shortwave radio in another language which sounded, to her ears, like German; he would take them out on the weekends to visit relatives, but they’d walk so far in their Sunday shoes that they’d have blisters by the end of the day. Joseph died on June 9, 1944 – three days after D-Day. There ends my quasi-biography of my great-grandfather. It was interesting to see how the stories stacked up against the “truth” available in genealogical records. While it may not have been a genealogically accurate biography of my ancestor, these family history projects are highly beneficial for children. Today, the availability of so much information on the internet would have allowed me to disprove some of my grandmother’s memories immediately! But regardless of whether what she knew was true or not, projects such as these were designed to get the children to talk to their older relatives to find out the family history stories. For years now, I’ve been hoping my niece gets such a project since I’d be the one she’d call as “keeper of the family information”. She has many interesting stories about ancestors on both sides of her family, all of which can be substantiated with actual records! But I am beginning to wonder if they do these projects anymore with the prevalence of divorce, adoptions, and other family relationships that would have been considered unusual back in 1980. Then again, maybe this is the year – she’s about to enter the 8th grade! In Part 2 to this post, I’ll offer my biographical sketch of Joseph Zawodny based on information I have discovered in genealogical records. It may not be as interesting as my grandmother’s tale, but it’s all true. Well, it’s true as far as I can tell, anyway – supposing he was who he said he was! When I saw the topic for the 4th Edition of the “Smile for the Camera” Carnival, I had the same reaction as many other genea-bloggers: “Maven, what? Are you kidding? Just one? !” The theme is “My Favorite Photograph” – but when it comes to photographs there are no favorites because I love so many of them. When put in the context of genealogy, this is a truly impossible task. I have few photos of my great-grandparents, so every one I have is precious. However, in using the “Ace of Hearts” as the prompt, the carnival asks to see a photo that won your heart. Again, many of the photos in my personal collection have won my heart, but I had to choose only one. 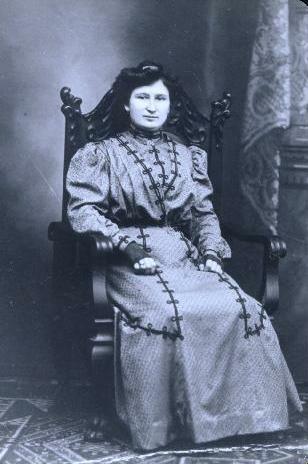 This is my great-grandmother, Wacława Zawodny (in Polish, the feminine form of her married last name would be Zawodna). This is presumed to be her wedding photo – readers will see the corresponding photo of her husband later this month in his biographical sketch. 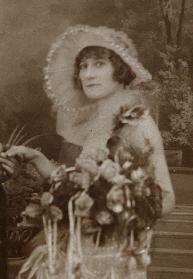 Wacława, maiden name Slesinka, was born on 29 August 1880 in Wilczyn, Poland to Wincenty Slesinski and Stanisława Drogowska. On 28 January 1902 she married Joseph Zawodny in Dobrosołowo, Poland. Joseph left for the United States about two months after the wedding, and she followed in July, 1903. I have several photos of Wacława, who used the name Laura in the U.S., when she was older. This one captures my heart to see her as a young woman 21 years old. She sure captured my great-grandfather’s heart! The second edition of the Smile for the Camera carnival focuses on Belles & Beaus: Choose a photograph of an ancestor, relative, yourself, or an orphan photograph that shows a memorable wedding, courting/dating, or a photograph depicting young/old love. 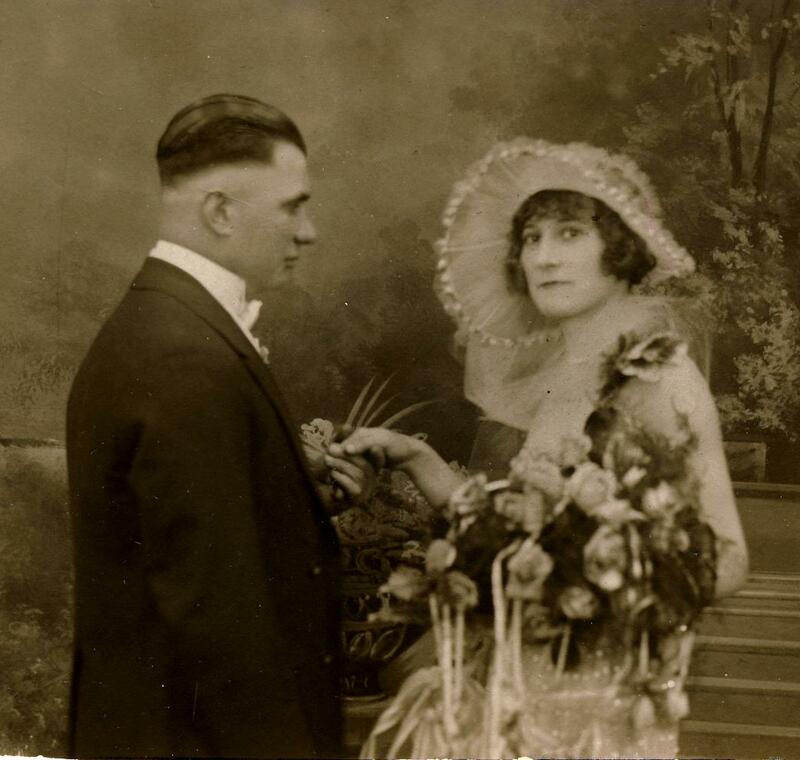 This photo depicts the wedding of Jane Zawodna and Sigmund Galecki in 1926 (make that 1925 thanks to the new Philadelphia Marriage License records that are now online). The wedding ceremony was likely at St. Adalbert’s Church in Philadelphia, and the photographer was probably in the Port Richmond neighborhood where they (and the church) resided. The “Maid of Honor” is my grandmother, Mae (or Marianna) Zawodna, Jane’s sister (if you recognize her, another photo of her from the same event was featured here). I do not know the identity of the “Best Man”, but I hope to learn more later this summer as I attempt to contact my cousins, the descendants of Jane and Sigmund (called “Ziggy”). Today I decided to try my luck with FamilySearch Labs latest offering, Philadelphia City Death Certificates 1803-1915. There isn’t much available online for Philadelphia, especially post-1900 when my families were living here, so I was pleased I’d at least have a few years worth of records to search. I entered in the usual surnames, and I quickly found death certificates for siblings of both of my grandmothers. In the Bergmeister family, there were five children. The first four were all born within 2-4 years of each other, but the gap between my grandmother, Margaret, and her next oldest brother, Julius, was 6 years. I found death records for two children born in between Julius in 1907 and Margaret in 1913. The first was a boy, Charles, who lived for 15 hours on 17 July 1909 and was listed as a premature birth. A sister, Laura, was also born premature on 05 November 1911 and died the same day. The Zawodny family had six children, and again there is about 2 years between each child until a 5 year gap between my grandmother’s siblings Kazimierz (known as Charley) in 1911 and Zofia (known as Dorothy) in 1916. My grandmother used to say that she had two brothers who died as infants, and I confirmed that with the records. Bolesław was born on 04 August 1912 and died six months later on 08 March 1913. The cause of death is listed as acute gastroenteritis, although my grandmother seemed to remember her father slipping on an icy sidewalk while holding the baby, who then fell and died later of a head injury. Another son, Władysław, was born on 18 January 1914. He died just over a year later on 27 March 1915. This time the cause of death coincided with my grandmother’s memory. He developed infections in his mouth caused by his teeth not developing and growing properly. My grandmother called the boys William and Walter, which roughly correspond to common English names used for those Polish names. I’ve looked at many records in my genealogical research, and I’ve seen numerous deaths of babies in those records, especially in the 18th and 19th centuries. But these four records were different, and I was saddened to view them. These children’s deaths were closer to me because they would have been my grandmothers’ siblings, my parents’ aunt and uncles. How difficult it must have been for my great-grandparents to suffer these losses. In both cases, the children died one after the other. Also in both cases, each family then had one more child, a girl in both cases. The next generations would occasionally have miscarriages, stillborns, and infant deaths, so living in “modern” times is no guarantee of a healthy baby. But I’m glad I found these records so their very short lives are not forgotten. FamilySearch Labs appears to be a wonderful site. It is easy to use, and the records were mostly transcribed correctly (my one great-grandmother’s maiden name was incorrect both times). Another benefit is that it is FREE for all to use. For folks that can’t afford Ancestry, this is a good alternative for a small group of records. My only complaint is that there aren’t enough records available yet! If enough genealogists volunteer to transcribe records, this could truly be the future of online genealogy. I’m very excited to see that another project in the works is Philadelphia Marriage Records from 1916-1951 – I’m sure this will help me fill in even more gaps on my tree. If you’ve tried this site and had success filling in your family’s gaps, be sure to leave a comment.